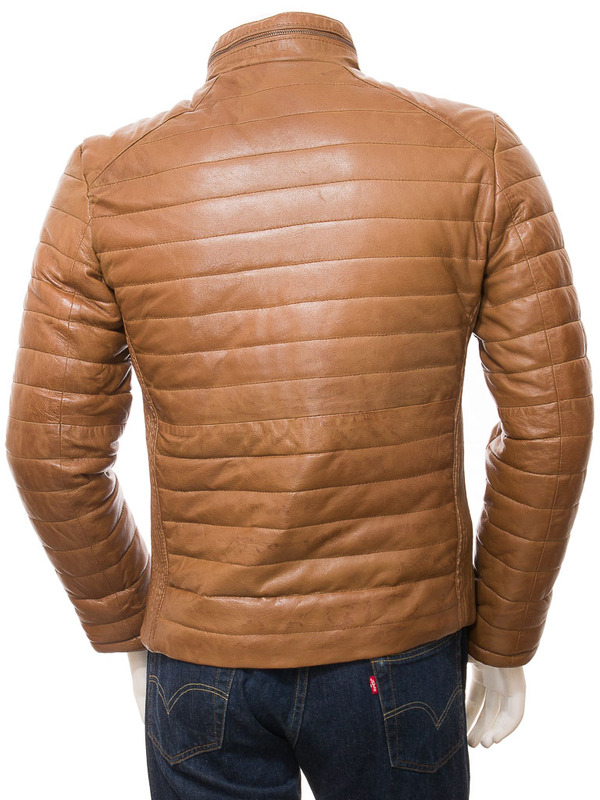 A sporty, tan quilted leather jacket. Designed to give you maximum ease of movement this jacket is perfect for those with an active lifestyle. 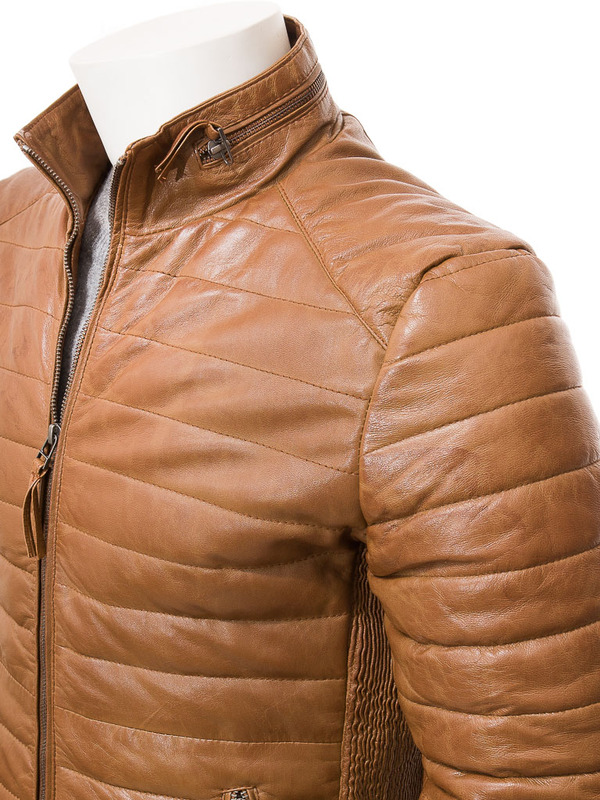 It's crafted from a super soft sheep nappa leather that is quilted horizontally to provide the maximum warmth with minimum bulk. 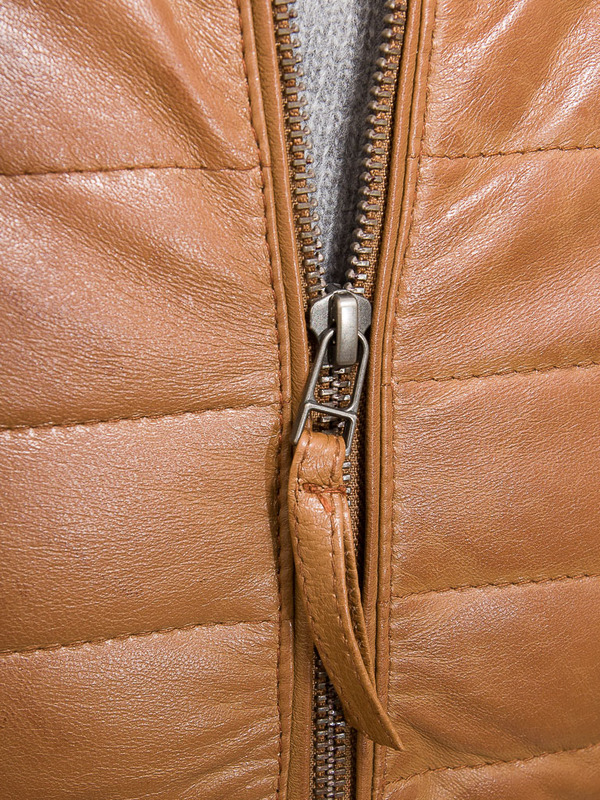 A YKK zip front extends up to a short, stand collar. 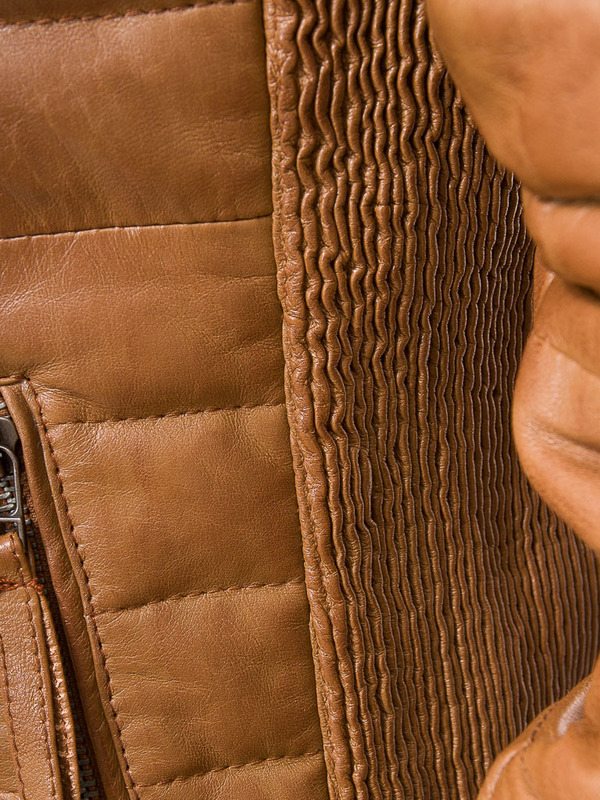 There are two zipped pockets at the waist while the cuffs are inset rib knit for extra warmth. 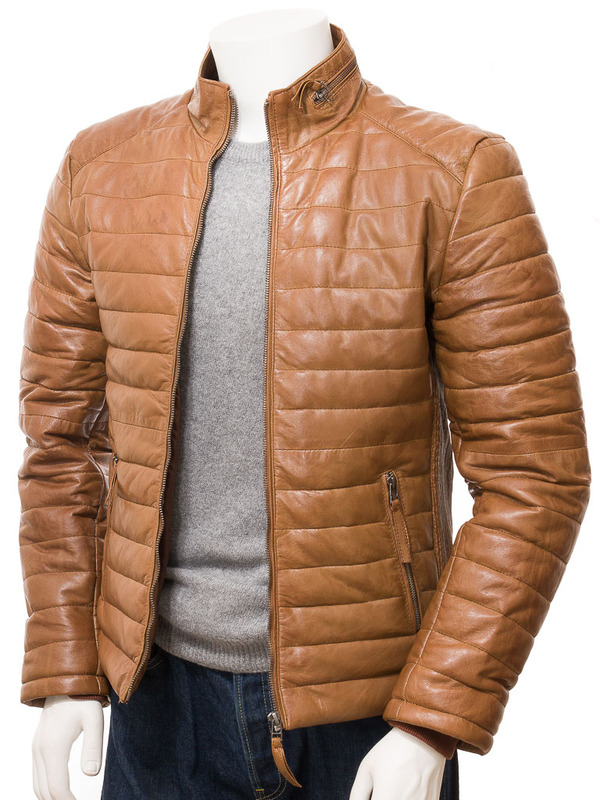 The key features of this jacket though are the tightly ridged side panels that have been stitched with elastic to allow stretch and recovery with the movement of the body. 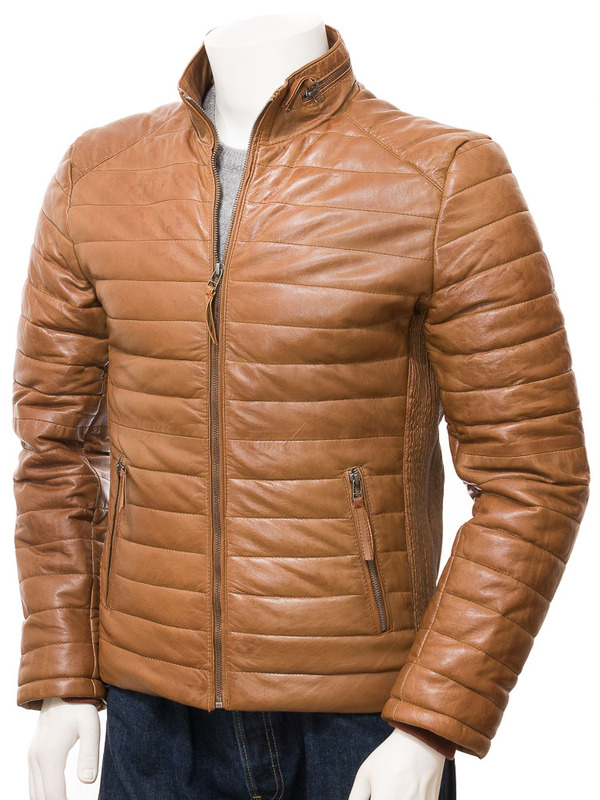 It feels so comfortable, with none of the restrictive rigidity found on other, heavier leather jackets. Take a look inside and you will find a fully satin lined interior, furnished with two leather trimmed pockets, one of which is zipped.